Is Your Business Compliant and Protected? Agreements are an essential part of every business transaction. Either verbal or in writing, agreements define the scope of the transaction, the terms and conditions, and rights and liabilities of each party involved in the transaction. Many Canadian laws impose certain requirements and regulations on the form, contents, and terms of business agreements. In addition, commonly accepted business practices dictate further conditions with which a business agreement should comply. Many business owners and managers aren’t aware of these regulatory, customary, and common-sense requirements and regulations, and don’t always see the real extent of liabilities and protections that they impose on their business. That is why compliance consulting firms in Toronto exist. Before entering into any kind of legally binding business agreement, you should know how to create a contract that benefits both your business and your client equally. Keep reading to learn more about the best business practices that are involved with drawing up a proper and mutually beneficial contractual agreement. What Is a Business Agreement? There are two formats for business agreements: verbal contracts and written contracts. A business agreement is exactly what it sounds like—a legally binding agreement created by two parties in which one party promises to deliver certain goods or services to another within a set timeframe. Conditions governing the deliverance of those goods and services are agreed upon by the two parties or their representatives (business associates, employees, or lawyers) at the time of negotiation. While verbal agreements could be equally binding and enforceable, they’re a lot harder to corroborate in a court of law in the event that something goes awry in the deal. That is why every prudent business manager should ensure that a proper written agreement is in place for every transaction that their business undertakes. Many modern agreements tend to become very lengthy, extensive, complicated, and confusing not only for the clients but even for business managers and agents themselves. Although some business transactions might justify such complications, especially those involving multiple participants, expensive or sophisticated equipment, high prices, or lengthy performance, most regular business transactions could be based on a simple yet protective and comprehensive set of terms and conditions. Most of the business and legal disputes relating to performance of business agreements relate to a limited scope of issues such as proper identity of the parties, pricing and payments terms, terms of delivery and responsibility for delays, transfer of ownership and liability for losses or damages, product warranty, and more. In defining these and other terms and conditions of an agreement, every prudent business manager should try to make their business agreement as equal and mutually protective as possible. In many circumstances, a one-sided agreement that protects only one party and imposes liabilities only on the other party will result in disappointment, loss of trust, and on some occasions hostility from your client, supplier, or potential business partner. These are not positive grounds on which you want to build your business relations. Bearing these in mind, we’ll review some of the important issues and conditions that every business agreement should contain. This apparently simple and obvious issue leads to many legal and administrative problems in seemingly straight-forward transactions. Non-conforming corporate names and business numbers could result in your import/export applications being rejected or severely delayed by the customs agencies. In many countries if the name of a party on agreement does not fully correspond to the name of a bank account owner, the payment will not be deposited to or released from the account. If the business number of a party is incorrect, your HST refund claim could be refused. And if a deal goes awry, you might find it difficult to sue a corporation that doesn’t exist or whose name does not correspond to the name on the agreement. As a prudent business manager, you need to define these and make them as clear and unequivocal as possible. When drafting their agreements, every business must remember that any unclear or ambiguous detail will usually be a disadvantage. In most transactions, pricing and payment terms represent the core of the parties’ conflicting interests. While the buyer wants to pay as little as possible as late as possible, the seller wants the absolute opposite. Many negotiations take place over the phone, e-mail correspondence, or at formal and informal meetings between the parties, so if the final agreed upon conditions are not properly defined in the agreement, it will be difficult, and in many situations almost impossible, to prove what exactly was agreed by the parties. “Time is of the essence” and “Force Majeure” are just a few seemingly simple and understandable terms that could be found in many business agreements. Nonetheless, few business managers really know and can foresee the actual implications that these and other terminology could cause to a “simple” transaction, especially where the parties depend on third-party providers for performance of their responsibilities. Upon drafting an agreement, every business manager should think about the “best case” scenario as well as the “worst case” and provide a simple and clear definition for each of those in the business agreement. As the world becomes smaller and many transactions cross multiple borders and continents, this issue might become extremely important and life-changing for each party to a business transaction. Without proper definition of the exact point in time when the ownership or liability for loss is transferred from a seller to a purchaser, the parties will find themselves in a complicated and conflicting situation. Who should bear the cost of insurance? Who owns the title to a product? Who will be at loss if the product is damaged during transportation? These and many other questions will be answered if the parties properly define their relations. Internet agreements apply to e-commerce transactions that take place through an official major online distributor, a company’s web site, or even a private sale through social media. The main differentiator between this type of agreement and the others on this list is that it’s legally mandatory for customers to be given the opportunity or a grace period to make changes to or cancel their order both before finalizing it and after the fact. Basically, customers must be given the chance to add in or correct information such as their name, phone number, e-mail, credit card, and mailing or billing address. They should also be given a grace period of about 24 hours to cancel the order after placing it. Many business relations could be established or completely destroyed by the parties’ lack of consent and understanding of the conditions for product support and warranty. When does the term of warranty commence—upon production, departure from the plant, delivery to the buyer, first use registration online? The time difference between those could be weeks and even months. Without proper definition of the calculation of time, the parties could end up in a bitter conflict. One of the main reasons you might need to enlist business agreement help when negotiating an agreement is to protect your company against any potential legal liabilities. But in many situations a good, clear, simple and mutually protective agreement will act as a stable foundation for the future business relations between the parties. 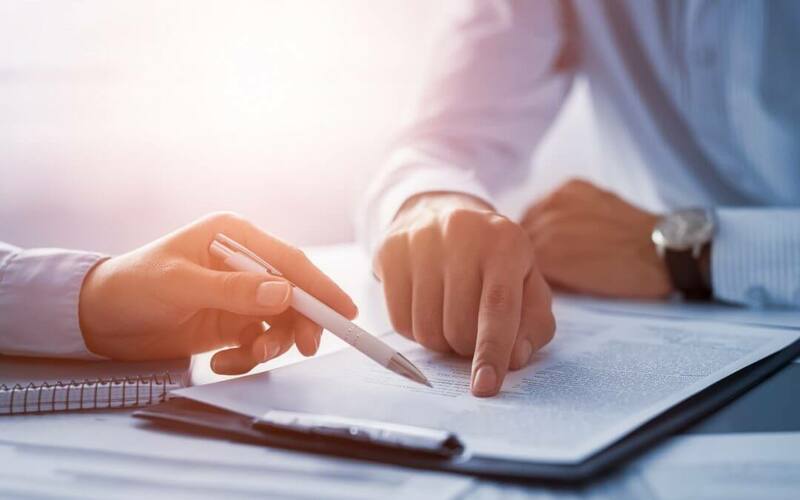 With the help of a professional business compliance consulting firm in Toronto, you can guarantee that the terms of the agreements you’re partaking in are mutually beneficial to you and your customers without placing either one of you at great risk. The legal, corporate administrative, accounting, human resources, and business compliance experts at Canadian Business & Enterprise Services (CBES) are dedicated to providing top notch business compliance solutions to small businesses throughout the GTA. We’ll take the time to thoroughly assess all of your existing business operations and advise you on any legal or proprietary adjustments that need to be made. To learn more about how we can help you optimize and improve your internal business performance to render better external results, please contact us today! Is Your Workplace Ready for the New Cannabis Legalization? $30,000 fine for another director of a corporation in Ontario. #MeToo – protect your business reputation and make it RIGHT! No Harassment prevention practice – No government Support!